Birdwatching is turning heads among North American hobbyists. In fact, nature-based activities like wildlife viewing have grown exponentially in Western Canada over the past decade and the reasons are not a surprise: being in nature is exciting, educational, and healthy, and we all feel better for doing it. Birding is detail oriented, requires time spent outdoors and in nature, and requires one to focus on the natural world and its different relationship to time, says Bernard Schroeder, wildlife biologist and birding enthusiast.Birding helps develop skills of observation, listening, pattern and sound recognition, and interpretation—all while looking at a beautifully coloured feathered flying dinosaur of sorts. Schroeder says Williams Lake’s own Scout Island is a significant birding destination as it is an oasis of sorts, bridging the Interior Plateau and the Fraser Basin regions at the foot of Williams Lake and at the start of Williams Lake River. It hosts a number of natural habitats that attract a wide variety of birds within, or adjacent to, an urban setting, he says. There is a sizeable lake for the area, a complex of wetlands, mixed forest, riparian shrubs and trees, mature mixed conifers, and deciduous trees and shrubs. Lucky for birders in the region, the bird population in the Cariboo-Chilcotin is looking healthy. 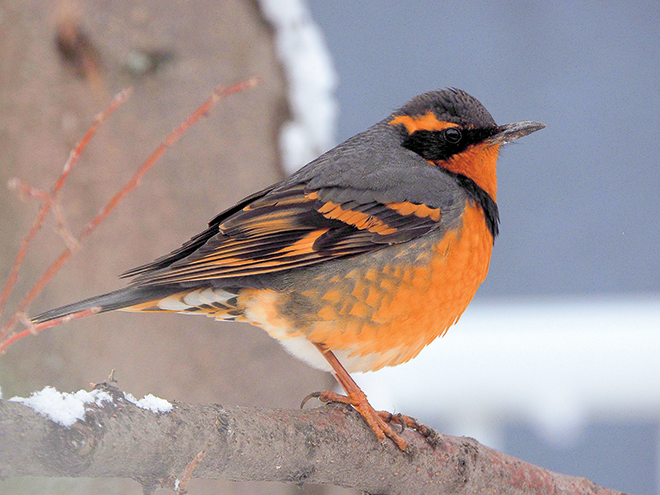 Phil Ranson created the Checklist for Cariboo-Chilcotin birds and completes an annual Christmas bird count (CBC) in Williams Lake. According to Ranson, Scout Island has long been recognized as a prominent bird watching site in BC and is mentioned in most, if not all, bird finding site guides for the province. The prominence is based on a high diversity of birds and habitat in a small and readily accessible location to both locals and travellers, he says. Its appeal to birders is also enhanced by its status as a nature reserve and the associated Scout Island Nature Centre. Ranson also points to eBird, which is relatively new but lists Scout Island as a birding hot spot. It currently has more species represented (203) and has more checklists submitted than any other location in the Cariboo Chilcotin (816), besides the bird banding site at Tatlayoko Lake, says Ranson. Many travelling birders consult these things prior to setting out, so it functions much the same way as a site guide. 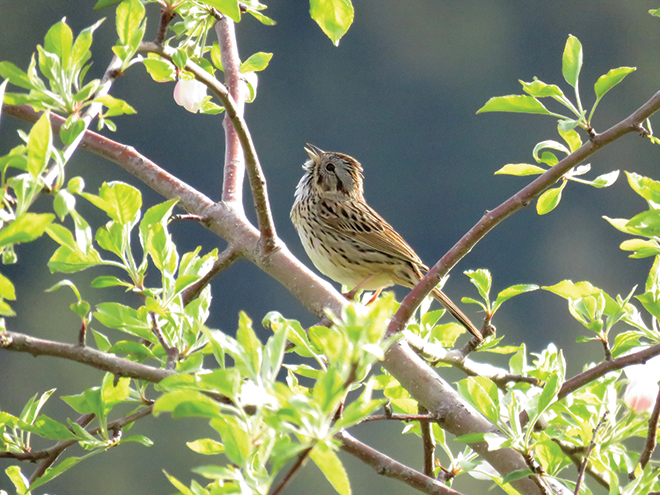 Bird populations are changing in this region, in some ways noticeable and in some cases perceived increases and decreases are not readily quantifiable without long-term study. The Williams Lake Christmas bird count shows increases in winter of several species that are reliant on human settlement to get through the most severe part of winter such as Rock Dove, House Sparrow, Starling, American Crow, House Finch, and American Goldfinch, although in some of these cases populations appear to have levelled off or may be falling—partly explained by the closing of the Williams Lake landfill site, says Ranson. In terms of range expansion, there are several migratory species that are at the periphery of their range and formerly occurred in restricted numbers that appear to be expanding their range northward. 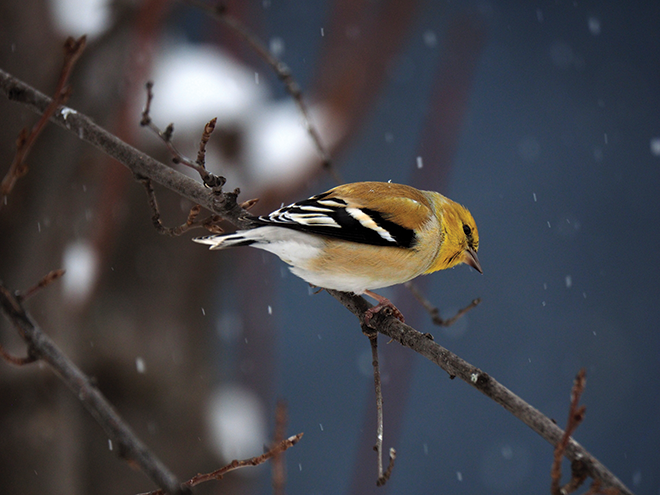 American Goldfinch is a good example of a bird that did not appear on the Williams Lake CBC until 1989 and is now a fairly common winter species at lower elevations, particularly at feeders, says Ranson.Its range also appears to be increasing northward up the Fraser corridor as far as Prince George. Although the scene is relatively stable in the Cariboo-Chilcotin, Schroeder is concerned about declining bird populations and threats to migratory bird habitats in general. Many or most birds migrate twice annually—some from one end of the globe to the other with many variations in distances between—so birds are vulnerable to a variety of pressures and impacts, he says. They depend on healthy habitats and abundant food resources throughout all global terrestrial and marine systems to thrive. Species of concern—swallows, swifts, Nightjars, Nighthawks, and other aerial insectivores—are declining due in part to widespread use of increasingly pervasive insecticides and pesticides (such as neonicotinoids) that are decimating key food resources, such as flying insects. There has been a huge decline in shorebird populations in the last 100 years, says Schroeder. I’m concerned about many seabirds such as Albatross, petrels, and penguins, and other waterbirds such as ducks. These depend on healthy productive oceans with abundant food resources and are vulnerable to fishing bycatch, plastics, chronic oiling in shipping lanes, and hunting pressure. As with most urban parks Scout Island is faced with balancing the needs of people and nature—a balance that, in its particular setting, Ranson says is not likely to favour nature. The City purchased the land in 1966 from the Pacific Great Eastern Railway and constructed a tourist campsite and public beach on the main island. Next, the City wanted to fill in the adjacent marsh to create parking, but local resident Anna Roberts, plant pathologist and McGill University graduate, stepped in. When I complained to council, they got someone from Victoria to come and have a look to see if the marsh was of any use, she told The Williams Lake Tribune in a 2017 article. The Canadian Wildlife Service deemed the marsh important, and suggested it be preserved as a place of learning through help from the National Second Century Fund of BC (now the Nature Trust of BC) to establish a nature reserve. In 1973 the Fund bought the land and the City agreed to take down the campsite. Once the nature reserve was established, the Williams Lake Field Naturalists entered an agreement to collaborate with the what was then the Town of Williams Lake to operate the Scout Island Nature Centre. It has been providing nature education to countless visitors ever since. The Nature Centre is an asset to Williams Lake. In Canada, American and Canadian tourists spend about $12 billion on nature-related activities each year, and in 2005, $900 million per year was spent on wildlife viewing activities in BC alone. These numbers are growing. In 2017, Global News reported one in five Canadians are birdwatching, and spending an average of 133 days in a year on the activity—more time than is spent on any other nature activity, including gardening. 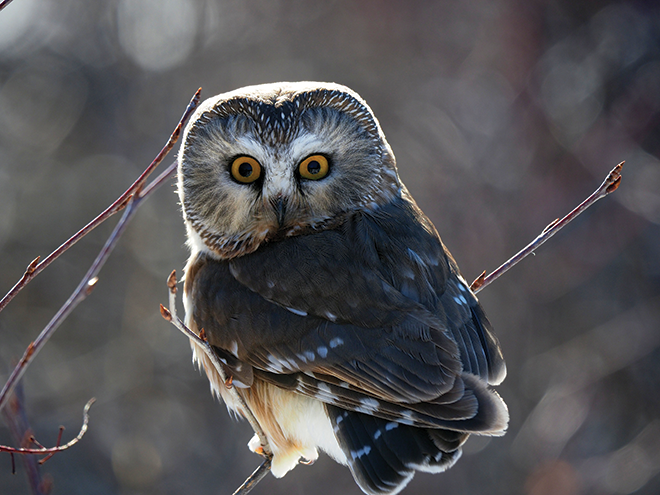 Saturday, May 11 is Migratory Bird Day in Canada. Be sure to spend some time in your region exploring the world of birding—if not as your new favourite hobby, then at least in terms of how to make your spaces friendlier for birds. There is always something to learn and re-learn with birding, says Schroeder. 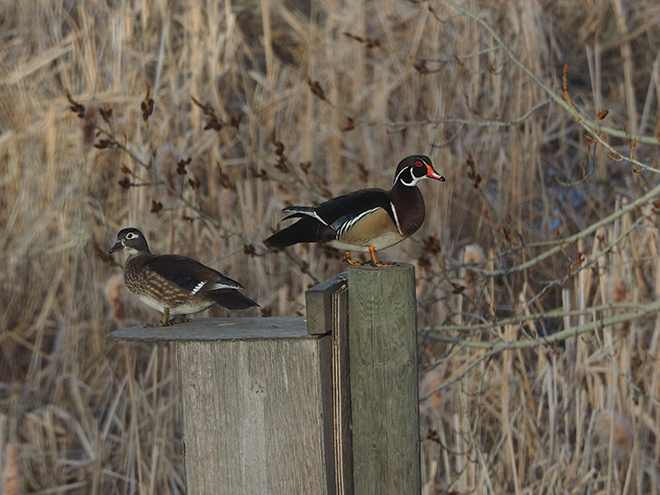 Birds also occupy so many different niches in the environment; the search to view birds can take you anywhere on earth. Birds are also indicators of the health of the natural world.